Stanford researchers are using fMRI machines to monitor the brains of girls at risk of depression and learn more about their responses to stress. Using fMRI brain imaging and a video game, researchers teach girls at risk of depression how to train their brains away from negative situations. 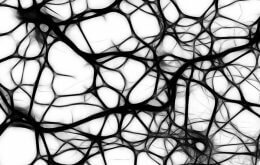 What if you could teach your brain to respond differently to things that make you feel sad, down or stressed out? What if doing that helped ward off depression? Early findings from an ongoing Stanford study of girls at risk of becoming depressed suggest that such rewiring is possible – and is surprisingly easy. The results show a promising new strategy to prevent the onset of depression – one that researchers hope to eventually apply to anyone at risk of suffering the debilitating disease. The study, led by psychology Professor Ian Gotlib, focuses on 10- to 14-year-old girls whose mothers are, or have been, depressed. Previous research has shown that these girls have a significantly higher risk of developing depression than do children with no family history. 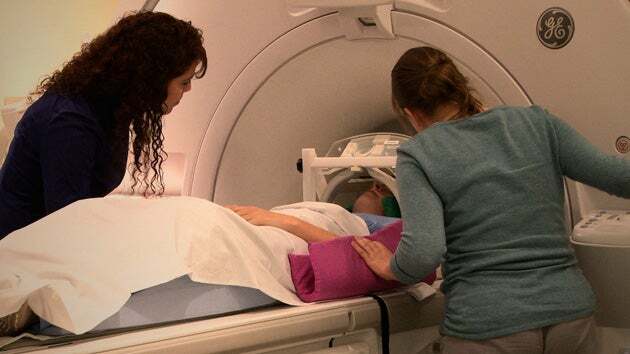 In one experiment, researchers use a functional magnetic resonance imaging (fMRI) machine to see, in real time, how the girls’ brains react when they look at disturbing images, such as photos of accidents. The brains of people who are depressed or at risk of becoming depressed overreact to negative experiences. Their bodies respond with increased heart rate, blood pressure, cortisol production and other physical indicators of stress. A depressive episode may not be far behind. During the scan, the researchers watch how much blood flows to each part of the brain. They pay particular attention to the amygdala region. “Everybody activates the amygdala to some extent when they see a negative picture. We have found that depressed adults and children at risk for depression activate it a lot more. And that can impair their day-to-day functioning,” Gotlib said. While undergoing the fMRI, the girls watch the level of their brain activity on a graph. The researchers then ask the girls to try to dampen the response by thinking about more positive experiences, such as going to the beach or playing with pets. But most of the time, the girls do it – much to their surprise and that of the researchers. Hamilton said most people think of the brain as very hard to control. “But, in fact, the brain is a very dynamic organ,” he said. “We’re happy we’ve been able to give them a potentially adaptive strategy to cope” when they are confronted with negative things. Hooked to a computer with wires attached to her head and wrist, a girl sees two faces appear on the screen. The faces are in pairs of neutral and happy or neutral and sad. A dot appears on the screen, and as the girl clicks on it, she is led away from a negative image and toward the positive. The task helps the girls learn to keep their brains from overreacting to negative stimuli. Previous studies have shown that this type of activity is effective in helping people with generalized anxiety disorder. Both experiments appear to help the girls tone down their brains’ response to negative situations. Gotlib said that when the girls are brought back to the Stanford Mood and Anxiety Disorders Laboratory several days after the experiments and put through a series of tests intended to induce stress, their bodies react differently. The study, which is funded by the National Institute of Mental Health, has been under way for less than a year and builds on peer-reviewed experiments examining risk factors for becoming depressed and the family connections of the disease. There have been about 20 participants so far in the current study, but Gotlib said that over the course of the study, which could last for five or 10 more years, more than 100 girls are expected to take part. Despite the small sample, the early results suggest the girls can change their reactivity to negative information and lower their stress levels, which should help ward off depression.